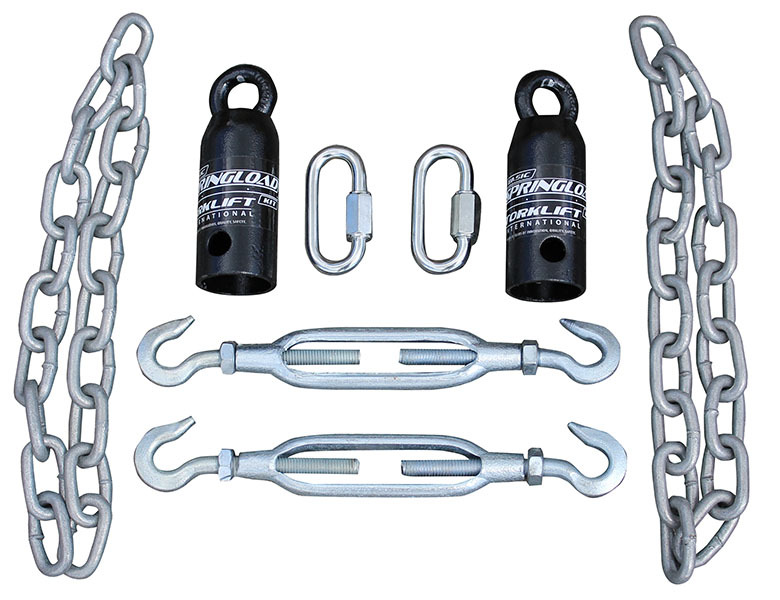 The Basic SpringLoad turnbuckle bolts easily to the end of each tie down providing the required suspension to help protect camper anchor points. 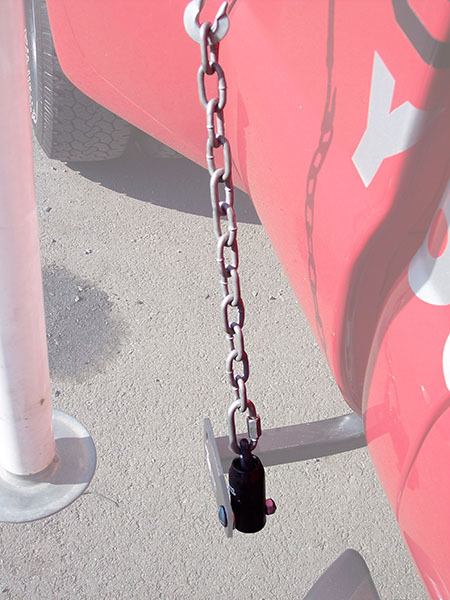 Contains two quick links, two heavy-duty forged steel turnbuckles and 24" of marine grade chain. The Basic SpringLoad kit is covered by our Legendary Lifetime Warranty and proudly made in the USA. * Depending on the vehicle/camper combination, some users may experience the Basic SpringLoad kit running across the fuel access door. 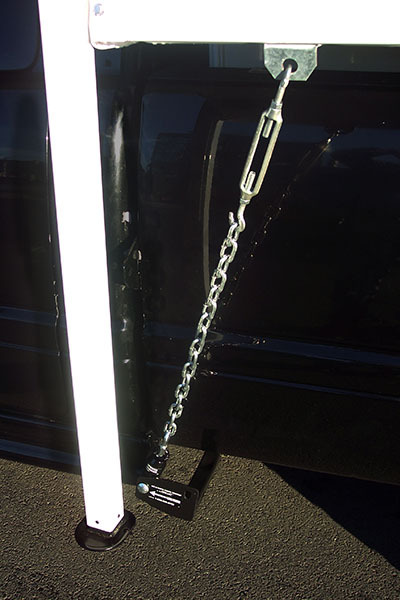 For ease of fuel door access, our Original FastGun lever action turnbuckles or the Derringer handles (set of 4) can be used to provide the ability to quickly engage and disengage the truck camper anchor point and the tie down allowing for quicker fuel door access. If you're considering Basic SpringLoad as an option, also consider using Derringer Handles and turn your "old fashion" Truck Camper Turnbuckles into Quick Lever Action Turnbuckles.